It seems we have hit Alice-mania. 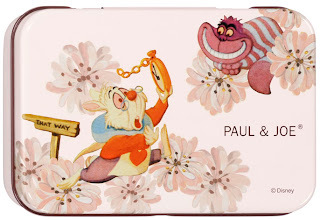 With the new release of Tim Burton’s film, people can’t seem to get enough of her and anything Wonderland related. But cast your minds back to the version you loved as a child – Disney’s animated version. 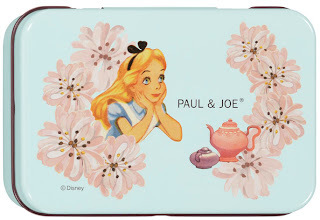 Paul and Joe have created some amazingly cute Alice in Wonderland make-up, using the original Disney animations in the design, with a choice of a blue Daydream or pink Fantasy. Each set contains a lip treatment stick, blotting paper and blotting paper refills, all coming in a collectable tin. They are currently available to buy from ASOS and in store at Harrods all for the affordable price of £25. Grab them while you still can! I so wish I had a spare £25!